Belmont Hotel and Salamander Tavern sell off-market in separate deals totalling $20m. The year’s first big property sales have been revealed by HTL Property, who announced the off-market sales of both the Belmont Hotel and Salamander Tavern in separate transactions. The deals suggest ongoing interesting in Newcastle hotels by Sydney hoteliers. The Belmont Hotel was sold privately by the Irvin Group to Sydney publican Don Hodge for an undisclosed sum. The news follows the competitive sale of another Newcastle hotel in December 2018, Elermore Vale’s Shaft Tavern, to Iris Capital’s Sam Arnaout. The same realtors revealed last year over $300m in sales transactions in just a six month period, including the sale to Arthur Laundy of The Bells Hotel in Sydney’s Woolloomooloo. “The sale of these two hotels on behalf of separate vendors is reflective of a number of recent and significant Newcastle region hotel sales to experienced Sydney hoteliers, who are investing time assessing the many opportunities found in an area so close to Sydney; and so alive with public and private sector infrastructure investment,” said HTL National Pubs Director Dan Dragicevich. Situated on the Pacific Highway, The Belmont Hotel comprises a large format multifaceted offering over 3,753 sqm and 23 gaming devices. The Salamander Tavern in Port Stephens was also sold in a separate off market transaction. 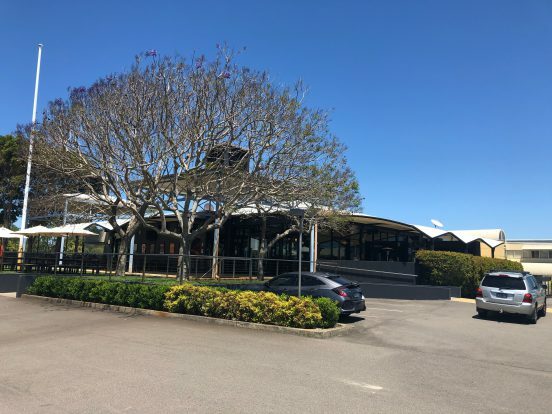 The large format venue was one of the first of the new wave of greenfield hotels built in NSW around 15 years ago and sits adjacent to the Woolworths-anchored Salamander Bay Shopping Centre. The transaction marks another step in the significant turnover of hotels in the LGA following the reinvigoration of the Salamander Shores Hotel under stewardship of Bannisters as well as the re-launch of the Country Club Hotel in Shoal Bay by Andrew Lazarus. Dragicevich’s Managing Director Andrew Jolliffe said: “2018 again highlighted a mix of established groups buying strategic properties, in addition to well capitalised new entrants vying for market share. Indicatively, 2019 will likely reflect a similar two-thirds existing players, versus one-third new entrants acquisition outcome mix,” said Jolliffe.